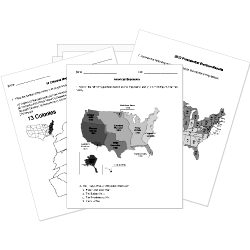 You can create printable tests and worksheets from these Grade 10 Civil Rights questions! Select one or more questions using the checkboxes above each question. Then click the add selected questions to a test button before moving to another page. What is separation of races called? President signed civil rights legislation to end segregation and discrimination in the workplace and all public places. Nonviolent refusals to obey the law as a way to advocate change, spread across the country. bring the North and South together.